2018 – Enova Tris has also been approved by consumers, who evaluated it successfully through a blind test allowing to receive the Pet Award 2018. 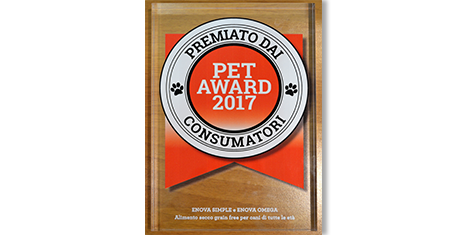 2017 – Ticinese Petfood was awarded with “Premio Fedeltà Associativa” by Associazione Commercianti della Provincia di Pavia, a prize for long-time relationship with local Merchants’ Association. 2017 – After the previous year, Enova Simple proves itself to be the Pet Award 2017 winner as the best grain-free dry pet food for puppies and adult dogs. At the same time, the new-born Enova Omega, the all-fish recipe of the Formula line, can show the deserved award. 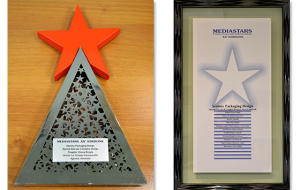 2016 – Enova Simple achieves the Special Star for Packaging Design at the 20th Mediastars Award edition. 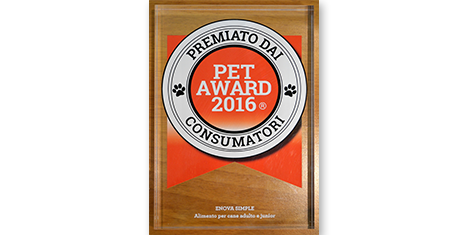 2016 – Enova has been rewarded by consumers with the Pet Award 2016 as the best dry pet food in the market for puppies and adult dogs. 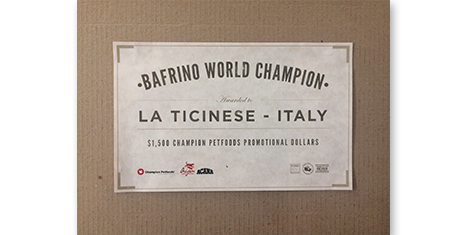 2013 – Ticinese Petfood was awarded with Bafrino World Champion, a contest among all the european distributors about technical knowledge of the products. 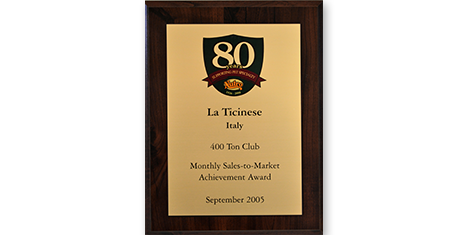 2005 – Ticinese Petfood joins the “400 Tons club” of the very few world distributors of Nutro who reached the 400 tons of monthly sales. 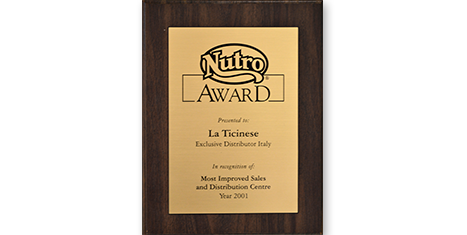 2001 – Nutro names Ticinese Petfood as best European distributor of their pet food in terms of sales volume and organization.